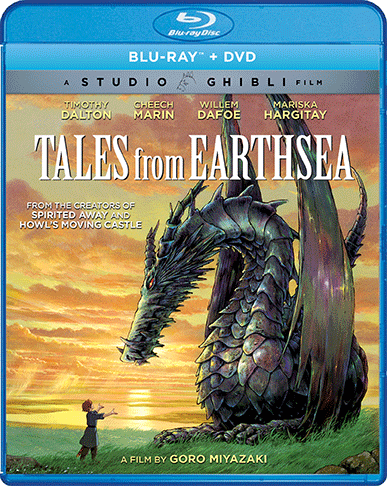 From the legendary Studio Ghibli, creators of Spirited Away and Howl's Moving Castle, and director Goro Miyazaki (From Up on Poppy Hill), comes an animated fantasy epic based on the classic book series by Ursula K. Le Guin. As crops dwindle and dragons reappear, mankind stands on the verge of total chaos. Lord Archmage Sparrowhawk, a powerful wizard, and Arren, a troubled young prince, search for the force behind this mysterious imbalance that threatens to destroy the land of Earthsea. This tale of redemption and self-discovery that will take your breath away features the voices of Timothy Dalton, Cheech Marin, Willem Dafoe, and Mariska Hargitay.